Our olive oil is exclusively produced from our own olive trees at Gialova Gardens. This is the Koroneiki olive; ‘The Queen’ among all olive races and recognized worldwide as one of the best olives for oil production. The relatively small olives contain a lot of oil with high concentrations of polyphenols and other antioxidants. 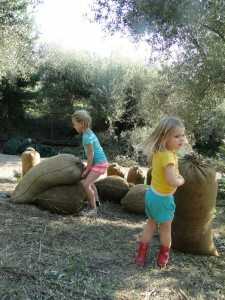 Except the taste our olive oil is very healthy and has a very low acidity. 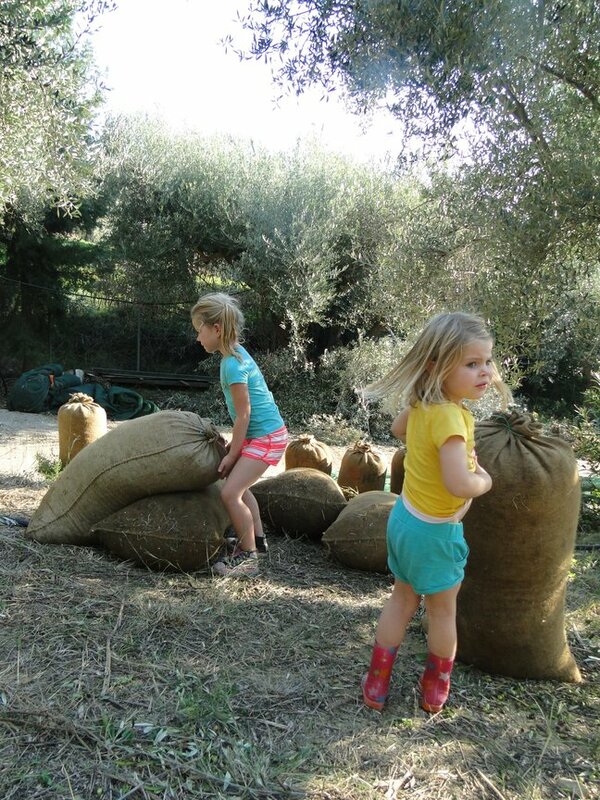 Our olive oil is produced 100% organic without anti insecticides or additives. The smell of the oil is that of freshly cut grass with a hint of fresh apple and the taste is fruity green grass with a clear bitter tinge. When swallowing the familiar ‘pepper in the throat’ follows: the fresher the oil, the more irritation in the throat. It is this oil from the Koroneiki olive what’s being used by the major (Italian) brands in very small quantities to dilute the lower quality in order to arrive at just the net values so their oil can be called ‘Extra Virgin’ Olive Oil. Naturally all our customers get a 500ml bottle upon arrival. 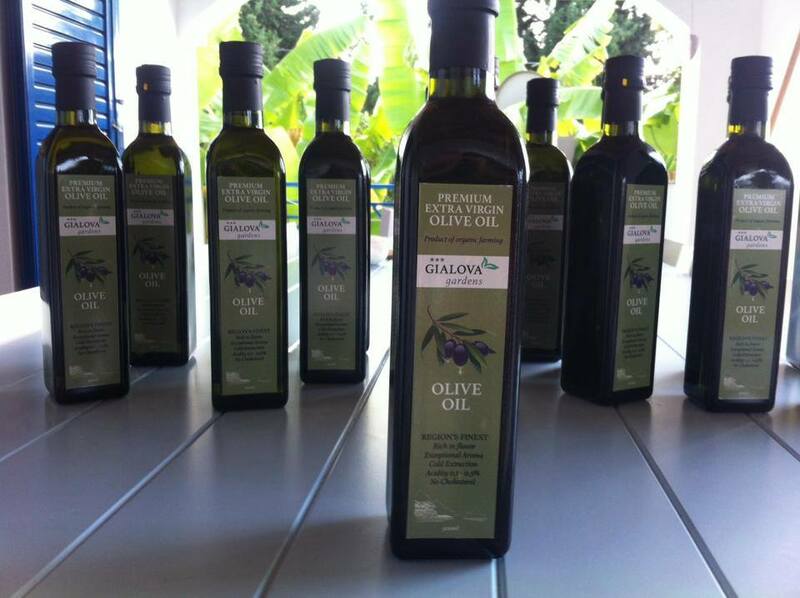 The rest of our virgin olive oil is sold to gastronomic professionals throughout Europe. Interested? You can buy a carton of fifteen 500ml bottles (7,5 liters) for 120 euros (shipment costs excluded). Contact us for more information.